Experience, honesty and integrity. These are just three of the qualities you will find at the law firm of Silvis, Ambrose, Lindquist & Coch, P. C., in Thomasville. 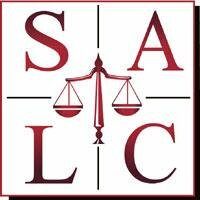 Our attorneys handle personal injury, criminal law and other legal matters for clients in Georgia and throughout the tri-state area. Since 1983, we have taken pride in offering comprehensive, effective service in all cases. When you come to us, you will be given personal attention. You will be treated with respect, not like a case number. This means we return calls and respond to e-mails promptly. We will keep you updated on the status of your case at all times and will simply be there for you whenever you need us. At the law firm of Silvis, Ambrose, Lindquist & Coch, P. C. we have earned a great deal of respect, thanks to our commitment to results and personal attention in personal injury, criminal law and other legal matters. The Thomasville Times-Enterprise named us the top law firm in the area. The Georgia Trial Lawyers Association has recognized us for our community service. We have built a client base that trusts us to do right by them, and that is exactly what we do. We know what it takes to get positive results in tough cases. From personal injury to criminal law and beyond, our law firm is dedicated to providing unsurpassed legal representation.